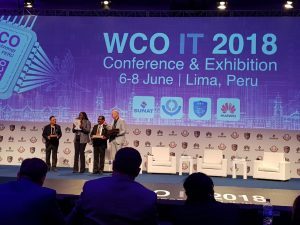 Mr Raju Boddu, Comptroller of Antigua& Barbuda Customs and Chair of CCLEC Finance Committee, represented CCLEC at the 17th WCO IT Conference & Exhibition which was held in Lima, Peru. Delegates from seventy five countries attended the event which took place from June 6-8, 2018. Mr Boddu presented on the topic “Connecting dots in Maritime Environment”, with particular reference to Trade Facilitation, Border Security and Revenue collection which are the main functions of the customs administrations. He highlighted the security challenges in the Caribbean context and the interventions of CCLEC in implementing the Regional Clearance System (RCS) for small vessels and CARICOM IMPACS Advanced Cargo Information System (ACIS). “In the context of the complex Customs ecosystem, the actual implementation of profiling, targeting and enforcement is a herculean task if one has to depend on traditional way of managing borders” he said. As announced previously, today (Wednesday, 1 November 2017) the Customs Department launched Phase 1 of its project to transition from its legacy IT Platforms to its enhanced IT Platforms. Collector Clifford advised that customers must come in to register on the new system in order to take advantage of it advances. Registration is necessary for compliance purposes. However, it is a one time registration and once you are registered on the new system you will be able to enter your declaration online from the comfort of your home or office. You will then receive an email from the Customs Department confirming receipt and advising that your declaration will be processed within 2 hours. 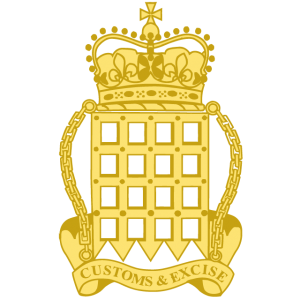 Once your declaration is processed, you will receive a further email advising that your goods have been released and that you should come in to pay the duties and collect your goods or alternatively that your goods have been selected for inspection and you must come in to witness the inspection. The Customs Department has announced that on 7th July 2017 Cayman Brac Customs Officers arrested a 52-year-old male American national for several firearm offences. During the inspection of a shipping container a large quantity of ammunition was recovered amongst personal belongings. Cayman Brac Customs Officers along with officers from the Royal Cayman Islands Police Service conducted a search of his residence where two unlicensed firearms were recovered. Neither the ammunition nor the firearms were declared to Customs and they did not accompany a firearms import permit. 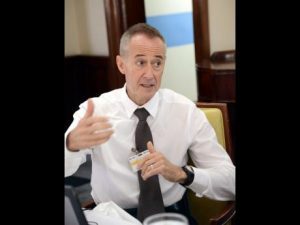 Economic crises in Venezuela may propel that country to the position of one of the Caribbean’s largest supplier of illegal guns and ammunition, along with Haiti and the United States of America, says Anthony Clayton, professor of Caribbean sustainable development at the Univer-sity of the West Indies. “It is not just the (illegal gun) trade with Haiti or the import of weapons from the United States. There is going to be a third major source of supply into the Caribbean region and that is Venezuela,” Clayton told The Gleaner yesterday. Clayton said that Venezuela has more guns per person than any country in the Western Hemisphere, a deliberate move by former President Hugo Ch·vez. Now that the economy is suffering immensely, those arms are being sold rapidly to facilitate basic survival. “This is partly due to former President Ch·vez’s policy of arming the militias. Now, with the economy collapsing, a lot of them are selling their weapons and they are selling them for groceries, pharmaceuticals and basic survival items,” Clayton said. Twenty-six (26) delegates across regional and metropolitan Customs Administrations attended the 39th CCLEC Conference which was held at the Sheraton Miami Airport Hotel and Executive Meeting Center, from the 23rd – 25th May, 2017. The theme “Digital partnerships in a connected world” was underlined by two distinguished speakers, Mr. SergioMujica Montes, Deputy Secretary General, World Customs Organization (WCO) and Mr. Ian C. Saunders, Assistant Commissioner, United States Customs & Border Protection (US-CBP). Among the participants were the Caribbean Postal Union (CPU), CARICOM Implementing Agency for Crime and Security (IMPACS), Regional Security System (RSS), Inter American Development Bank (IDB), SOGET, United Nations Conference on Trade and Development (UNCTAD), Universal Postal Union (UPU) and the WCO. 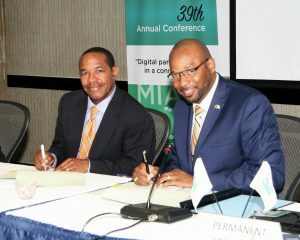 The conference witnessed the signing of a Memorandum of Understanding (MOU) between the Caribbean Postal Union and CCLEC, the objective of the MOU being to foster greater cooperation between both entities, particularly in the area of information sharing. A number of presentations were made on the reform and modernization of CCLEC operations, including moving the organization for one based on an MOU, to being treaty based. Reports were received on the activities undertaken by the CCLEC Secretariat and the CCLEC/WCO Joint Intelligence Office in addition to presentations related to the theme, trade facilitation and border security.